What happens when someone who illegally enters the country commits a crime? Further, does it matter is that person was previously deported from the United States? Does federal law provide for sentencing enhancements to extend the prison terms for wrongdoers in this position? The answer is yes—and no. 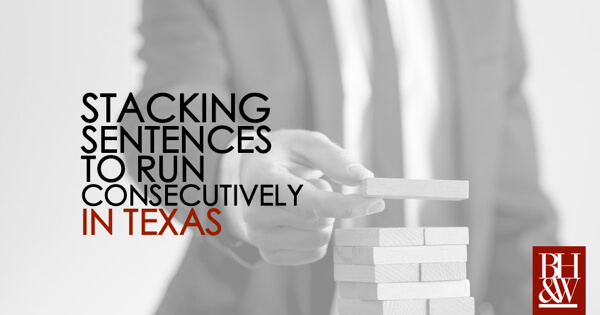 Read on to see how the Fifth Circuit Court of Appeals analyzes federal statutes and sentencing guidelines that could support such an enhancement for the defendant, but decides against doing so. In 2002, Benito Sanchez-Rodriguez, an “undocumented immigrant,” was convicted in Florida for “Dealing in Stolen Property,” a violation of a state law. Pleading guilty at trial, Rodriguez was sentenced to three years’ imprisonment, which was suspended for three years’ probation. Six months later, he was deported to Mexico because he had no legal status to remain in the US. Over a decade later, in 2014, Rodriguez was arrested for DWI in Texas. While under arrest, the federal government charged him will illegal entry into the US. Ultimately, Rodriguez was indicted on one count of illegal reentry into the US, a violation of federal statute 8 U.S.C. § 1326(a) and (b)(1). In August of 2015, Rodriguez plead guilty to the illegal entry indictment and the district court accepted his plea. Before the sentencing phase, a US Probation Officer prepared a “pre-sentence investigation report” (“PSR”), relying upon the United States Sentencing Guidelines (“USSG”). The PSR assigned Rodriguez base offense level of 8, which was raised by 8 additional levels because of the 2002 “Dealing in Stolen Property” conviction (an aggravated felony qualifier), for a total base offense level of 16. U.S.C. § 2LI.2(b)(1)(C). The PSR added that because Rodriguez took responsibility by entering a guilty plea, the total base offense level was reduced by 3, for a final total of 13. The PSR recommended that with a base offense level of 13, Rodriguez should face between 24 to 30 months in federal prison. Rodriguez objected both on the record and in writing, arguing that the 2002 conviction was not an aggravated felony qualifier, however, the district court adopted the PSR’s recommendations. Accordingly, he was sentenced to 27 months’ imprisonment. Rodriguez now appeals to the Fifth Circuit for relief, arguing, that the 2002 conviction is not an aggravated felony qualifier for sentencing purposes because the Florida law “Dealing in Stolen Property” is overly broad. The Fifth Circuit must determine whether Rodriguez’s prior 2002 conviction qualifies as an “aggravating felony offense” under the USSG, because if so, he faces a longer prison term and could potentially set a precedent for the federal “aggravated felony qualifier” status of this Florida law. 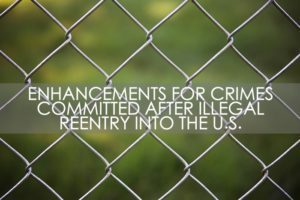 A defendant’s base offense level will be increased by 8 levels if the defendant previously was deported, or unlawfully remained in the US after conviction for an aggravated felony, without regard to the date of the conviction for the aggravated felony. U.S.S.G. § 2LI.2(b)(1)(C); U.S.S.G. § 2LI.2 cmt. N.3(A); United States v. McKinney, 520 F.3d 425, 429 (5th Cir. 2008). An aggravated felony is defined as a “theft offense, including receipt of stolen property, or burglary offense, for which the prison term is at least one year.” 8 U.S.C. § 1101(a)(43)(G). A “categorical approach” is used to determine whether a prior conviction is an offense under the USSG. Taylor v. United States, 495 U.S. 575, 602 (1990); United States v. Rodriguez-Negrete, 772 F.3d 221, 224-25 (5th Cir. 2014). Courts compare the elements of a statute forming the basis of the defendant’s conviction with the elements of the generic crime (the offense as it is commonly understood). United States v. Schofield, 802 F.3d 722, 727-28 (5th Cir. 2015). If the offense of conviction has the same elements as the generic crime, then the prior conviction may serve as the predicate, because anyone convicted under that law is guilty of all of the elements. Descamps v. United States, 133 S. Ct. 2276, 2281, 2283 (2013). Similarly, a “modified categorical approach” is used by courts to analyze the elements of a divisible statute (a criminal statute that is comprised of several varied offenses). In a two-step “modified categorical approach,” the court first reviews indictments and jury instructions, among other documents, to determine which part of a statute formed the basis of a defendant’s prior conviction. Next, the court compares the elements of the crime of conviction with the element of the general crime. Here, the Fifth Circuit adopted the modified categorical approach to analyze the case. Here, the “generic crime” is a theft offense—the “Dealing in Stolen Property” conviction from 2002. Because the provision does not clearly define “theft offense,” the Fifth Circuit applied the generic definition of theft, “a taking of property or an exercise of control over property without consent with the criminal intent to deprive the owner of rights and benefits of ownership.” United States v. Medina-Torres, 703 F.3d 770, 774 (5th Cir. 2012)(per curiam). Burke v. MuKasey, 509 F.3d 695, 697 (5th Cir. 2007). The court examined the Florida statute reads, “Traffic means to (a) sell, transfer, distribute, dispense or otherwise dispose of property; (b) to buy, receive, possess, obtain control of, or use property with the intent to sell, transfer, distribute, dispense, or otherwise dispose of property.” Fla. Stat. § 812.012(8). Next, the Court reviewed Rodriguez’s charging document, which read, “Rodriguez knew or should have known that the property was stolen.” The Court examined Florida case law that showed that Florida applies the statute to conduct outside of the generic definition of theft—which created a problem when applying this conviction to the sentencing enhancement provision as outlined in the PSR. Without the enhancement provision, Rodriguez’s sentence would likely not have been as long with a lower base offense level. Accordingly the Fifth Circuit vacates the 27-month prison term and remands the case for resentencing only. During an alcohol and cocaine-fueled binge, nineteen-year-old Rigoberto Pantoja attacked a group of friends in Mansfield, Texas one evening in September of 2014. After watching the Floyd Mayweather fight, Pantoja began talking to himself. Eventually, he pulled a gun and fired two times, hitting Pantoja’s friend in the face. Pantoja put the gun to the head of a second friend, but when the gun would not fire, Pantoja pulled a knife, stabbing the friend three times. He also stabbed a third friend. All of the victims survived the injuries. Pantoja was arrested and charged with aggravated assault and attempted capital murder. At trial, Pantoja pled guilty to the aggravated assault and attempted capital murder charges before a judge. Pantoja requested a jury for the punishment phase of his trial, asking that the jury grant him community supervision (probation). At the punishment phase, the State called twelve character witnesses; Pantoja’s defense counsel called four, including his father who was set to testify about Pantoja’s Catholic upbringing and religious way of life. 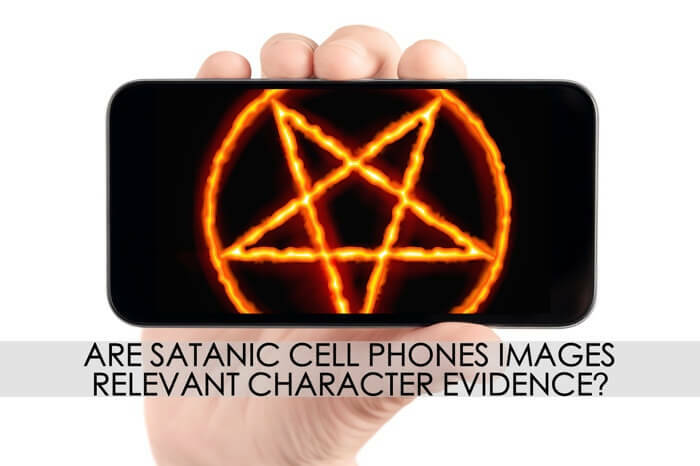 Just before the defense called Pantoja’s father to the stand, and out of the presence of the jury, the State indicated to the Court that it intended to cross-examine Pantoja’s father about satanic images found on Pantoja’s cell phone, confiscated the night he was arrested. The Judge told the State to proceed with calling witnesses and that “whenever you are ready to ask question [regarding the satanic photos], approach up here and then I’ll make a ruling at that time.” After that conversation, the jury returned to the courtroom. The jury assessed Pantoja’s punishment at eighty years’ confinement for both offenses, denying Pantoja’s request for community supervision. Pantoja timely appealed to the Second Court of Appeals, arguing that the satanic photos shown to the jury were highly prejudicial, had no probative value whatsoever, did not establish a material fact that related to any element of his offenses, and ultimately were not relevant to his case and sentencing. Did the Trial Court Err By Allowing the Satanic Images to Go Before the Jury? The Second Court of Appeals had to determine whether the trial court should have stopped the State’s cross-examination of Pantoja’s father regarding the Satanic images found on Pantoja’s cell phone. Did the photos have relevance to the case under the Texas Rules of Evidence? If so, were the photos highly prejudicial to the jury? 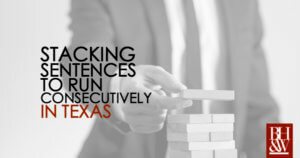 Article 37.07 of the Texas Code of Criminal Procedure states that, “evidence may be offered by the State and the defendant as to any matter the court deems relevant to sentencing, including…his character [and] an opinion regarding his character…” Tex. Code Crim. Proc. Ann. Art. 37.07, § 3(a)(1) (West Supp. 2015). Evidence is relevant to a punishment determination if that evidence will assist the fact-finder in tailoring an appropriate sentence. Henderson v. State, 29 S.W.3d 616, 626 (Tex. App.—Houston [1st Dist. ]2000, pet. ref’d. When a defendant requests community supervision, a trial court may reasonably deem any character trait that pertains to the defendant’s suitability for community supervision to be a relevant matter for the sentencer to consider. Sims v. State, 273 S.W.3d 291, 295 (Tex. Crim. App. 2008). When character evidence is admissible—as in a community supervision request during the punishment phase—such character traits may be proven by testimony in the form of an opinion. Tex. R. Evid. 405(a); Wilson v. State, 71 S.W.3d 346, 349-51 (Tex. Crim. App. 2002). An opinion witness is generally to be asked “did you know” questions. Id. at 350. On cross-examination of a character witness, inquiry may be made about specific incidents of a person’s conduct, subject to the following limitations. Id. at 351. The incident must be relevant to the character traits at issue. Burke v. State, 371 S.W.3d, 252, 261 (Tex. App.—Houston [1st Dist.] 2011, pet. ref’d, untimely filed). The alleged Bad Act must have a basis in fact. Id. Before the questions are asked, the foundation for asking the question should be laid outside of the jury’s presence, so that the judge will have an opportunity to rule on them. Id. Further, this character testimony was provided by the defense. Because the defense called the father as a character witness, the State had the right to cross-examine the father “through did-you-know questions” about Pantoja’s character. “The State had the proper predicate for it’s ‘did you know’ question by establishing outside the presence of the jury the factual basis for the specific instances of Pantoja’s conduct (the satanic cell phone photos).” The Court overruled Pantoja’s appeal, and affirmed the trial court’s judgment. 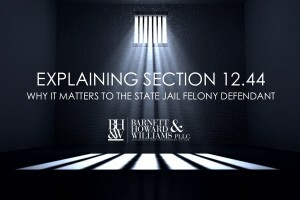 What is Section 12.44(a) and Why Does it Matter to the State Jail Felony Defendant? Our Fort Worth criminal defense attorneys are routinely asked by family and friends of clients charged with State Jail Felony offenses about 12.44(a) and 12.44(b). Although it is sometimes elusive, our attorneys have had success in reducing State Jail Felony cases under Section 12.44. 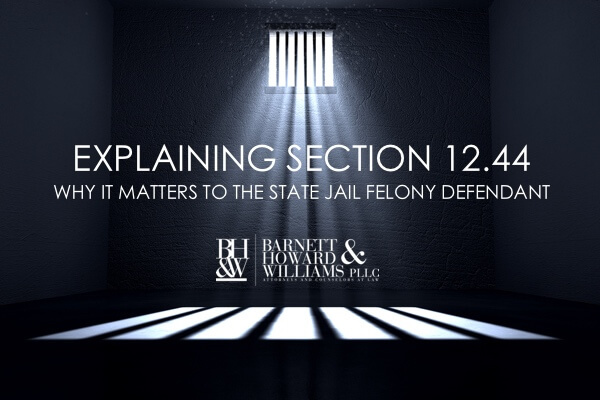 This article will discuss Sections 12.44(a) and 12.44(b) of the Texas Penal Code and explain why they are important to the State Jail Felony defendant. From 180 days to 2 years in a State Jail facility. Any resulting conviction under Section 12.35 is considered a felony conviction for most purposes. When a person is sentenced to confinement for a State Jail Felony offense, the sentence is served day for day. Aside from State Jail Diligent Participation Credit, a state jail sentence will last for every single day of the term, unlike a prison sentence, which may be cut short for parole or good time. For example, if someone receives a sentence for 12 months in state jail, that person will serve 365 actual days on the sentence. Since parole and good time are not options for state jail time, Section 12.35 requires the defendant to serve that sentence day for day. However, section 12.44 of the Texas Penal Code allows for a reduction of the above consequences for someone charged with a state jail felony. Sec. 12.44. REDUCTION OF STATE JAIL FELONY PUNISHMENT TO MISDEMEANOR PUNISHMENT. (a) A court may punish a defendant who is convicted of a state jail felony by imposing the confinement permissible as punishment for a Class A misdemeanor if, after considering the gravity and circumstances of the felony committed and the history, character, and rehabilitative needs of the defendant, the court finds that such punishment would best serve the ends of justice. (b) At the request of the prosecuting attorney, the court may authorize the prosecuting attorney to prosecute a state jail felony as a Class A misdemeanor. Please note section 12.44 has two subsections. The differences between them are significant. What is the Difference Between 12.44(a) and 12.44(b)? Under 12.44(a), at the discretion of the court, a state jail felony can be punished as a Class A misdemeanor. If convicted, the conviction results in a felony conviction. However, if sentenced to confinement, the defendant is allowed to serve time the same as if he were convicted of a Class A misdemeanor. That means the defendant can serve his time in the local county jail as opposed to a State Jail facility. That also may allow the defendant to have access to good time offered by the county jail in his jurisdiction (e.g. In Tarrant County, this could result in 2 for 1 credit or 3 for 1 if the defendant is a trustee). Under 12.44(b), at the discretion of the prosecutor, a state jail felony can be converted to a Class A misdemeanor. If convicted, the conviction results in a misdemeanor conviction. If incarcerated, the defendant would serve his time in the county jail the same as described in the above paragraph. 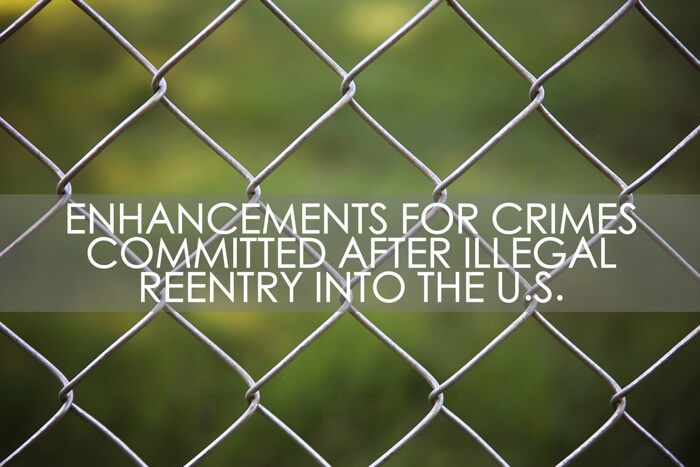 Note: Both 12.44(a) and (b) require the sentence to be within the penalty range of a Class A misdemeanor (0-365 days confinement and a fine, if any, not to exceed $4,000). Straight Probation and Deferred Adjudication probation are also allowed under both 12.44(a) and 12.44(b). Straight probation would result in a conviction for a felony if reduced under 12.44(a) and a conviction for a misdemeanor if reduced under 12.44(b). If you receive deferred adjudication probation under either a 12.44(a) or 12.44(b) reduction, a conviction can be avoided altogether if the probation is successfully completed. Any future probation revocation proceedings by the state would be limited at sentencing to the misdemeanor punishment provided by section 12.44 as discussed in the paragraphs above. Note: A probated sentence under 12.44 cannot exceed 2 years – the maximum time allowed for a probated sentence for a Class A misdemeanor. Depending on the circumstances, if you or someone you know is charged with a state jail felony in Texas, Section 12.44 may be applicable. 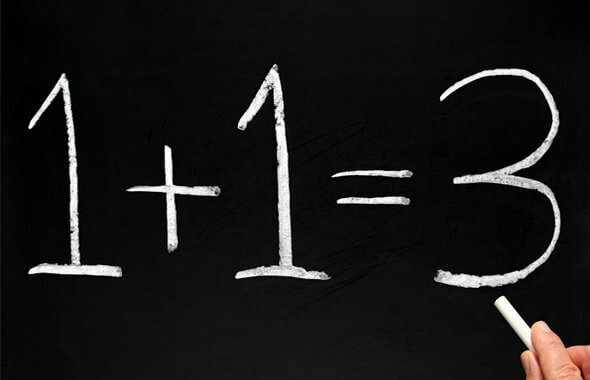 There are many factors that the prosecutor or judge will consider if your attorney requests a 12.44 reduction. It is important to discuss your specific circumstances with your attorney. 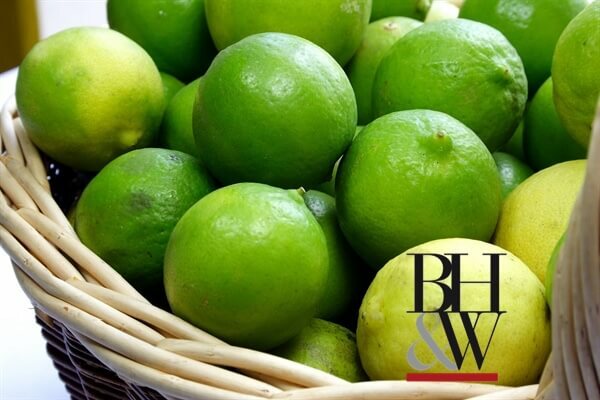 Please feel free to contact Barnett Howard & Williams PLLC if you have questions. Should a defendant charged with possession of drugs be punished for a “dangerous weapon” found at the scene of the drug trafficking and owned by a co-conspirator, when he did not know about the gun in the first place? The Federal Fifth Circuit Court of Appeals thinks so. See the Court’s opinion in United States v. Guerrero. At trial, he pled guilty to conspiracy to possess with intent to distribute 100 kilograms or more of marijuana, receiving a “guidelines-range sentence of 104 months” imprisonment and four years of supervised release. His sentence included a two-level enhancement for possession of a dangerous weapon—the shotgun found at the McAllen ranch. The district court noted, “[the Court] is not finding Rodriguez-Guerrero possessed the shotgun; rather, it was reasonably foreseeable…that there would be a weapon involved in…the… drug trafficking crime.” The district court added, “the shotgun was a tool of the trade and it [is] reasonably foreseeable to [Rodriguez-Guerrero] that there would have been a weapon, especially [to] a person with the experience that he has in drug trafficking.” Rodriguez-Guerrero appeals to the Fifth Circuit Court of Appeals, stating that there was no evidence to support a finding that either he or a co-conspirator possessed the shotgun—possession which lengthened his prison sentence. The United States Sentencing Guidelines Manual provides a two-level sentencing enhancement if “a dangerous weapon was present, unless it is clearly improbable that the weapon is connected with the offense.” U.S.S.G. § 2D1.1(b)(1), cmt. n.11(A). “The government must prove weapon possession by a preponderance of the evidence…[and can do so] by showing a temporal and spatial relationship of the weapon, the drug trafficking activity, and the defendant.” United States v. Zapata-Lara, 615 F.3d 388-90. Here, the Fifth Circuit Court reasons, the McAllen ranch was a stash house for drug-trafficking, used to “package and transport marijuana.” The ranch was a warehouse to store and move drugs, not a residence “in which drugs were also stored.” Next, several bundles of marijuana were found in the ranch’s master bathroom, making it “plausible [the Court reasons] to find that either Rodriguez-Guerrero or another co-defendant accessed the master bedroom, where the shotgun was found.” Further, the rounds of ammunition suggest that the gun was connected with the drug trade. Lastly, the gun and rounds of ammunition were found on the same day that police observed Rodriguez-Guerrero and the co-defendants at the ranch. In short, the Court says that establishing the “temporal and spatial” relationship is enough for possession in these types of drug trafficking cases; and, possession of a weapon could lead to enhanced, or increased prison sentences in federal courts. A jury found a defendant guilty of the second-degree felony of sexual assault. On sentencing, the jury awarded the defendant the minimum punishment (two years) and further recommended community supervision (a recommendation the trial judge is required to take). The trial judge, however, informed the jury that its verdict was illegal because the minimum period of community supervision is five years. The trial court essentially instructed the jury that if it wanted to recommend community supervision, it must sentence the defendant to at least five years (which would then be probated). Following instructions, the jury went back and returned a verdict of five years with a recommendation for community supervision. Was the trial court correct in his instructions to the jury? NO, says the Texas Court of Criminal Appeals in Mayes v. State. There is nothing in Article 42.12 (Tex. Code Crim. Proc.) that states, or even suggests, that the jury must assess a sentence that equals the minimum period of community supervision, the maximum period, or any particular period in between. 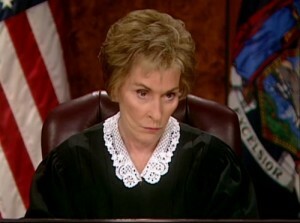 The jury does not determine the period of community supervision. It assesses the sentence and recommends that the trial judge place the defendant on community supervision. The judge must follow that recommendation, but he has the discretion to determine the appropriate period of supervision, as long as it within the minimum and maximum statutory period. The CCA opinion makes clear that the statutory minimums for punishment and community supervision are not inextricably linked. [A] rule that a jury cannot assess the minimum sentence in a case if it also wants the defendant to serve that sentence on community supervision would lead to an absurd result. Accordingly, the CCA reversed the judgment of the court of appeals. The defendant later filed a motion to recuse the trial judge, contending that his statement that he would not accept a plea deal for less than the maximum, showed that he could not be fair and impartial. Another judge, at a recusal hearing, denied the request. On appeal, the 2nd District Court of Appeals (Fort Worth) held that appellant was denied due process by the trial judge’s statements and that the judge should have been recused. The Court of Criminal Appeals now holds that the lower court got it all wrong. The CCA characterizes the trial judge’s statement not as a denial of due process. The trial judge’s comment could quite logically and reasonably have been a short-hand rendition of a statement that it was time for the defendant to quit shilly-shallying because he has twice rejected favorable plea bargains…and was continuing to drink in violation of his bond conditions.